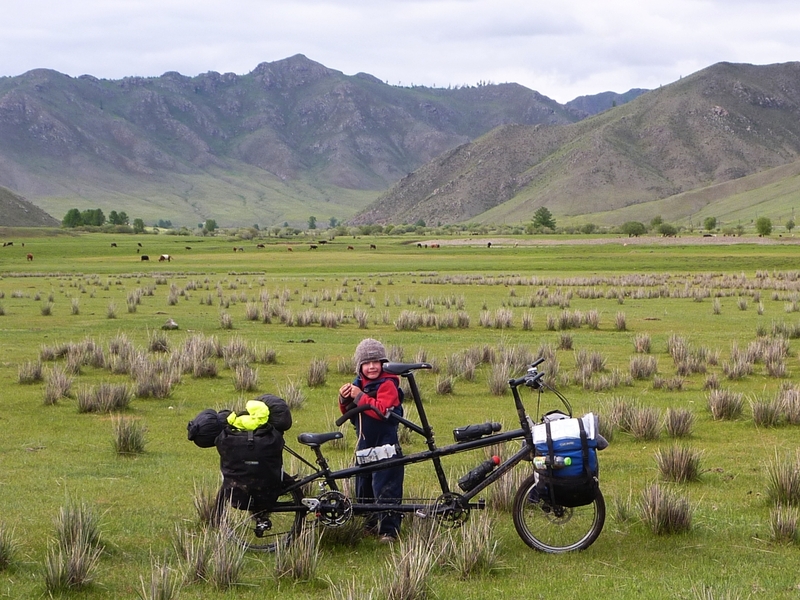 There are many wonderful things about tandem riding, but a big considerations is how to transport, or travel with, the extra length, size and weight that is essential to the design of a tandem. 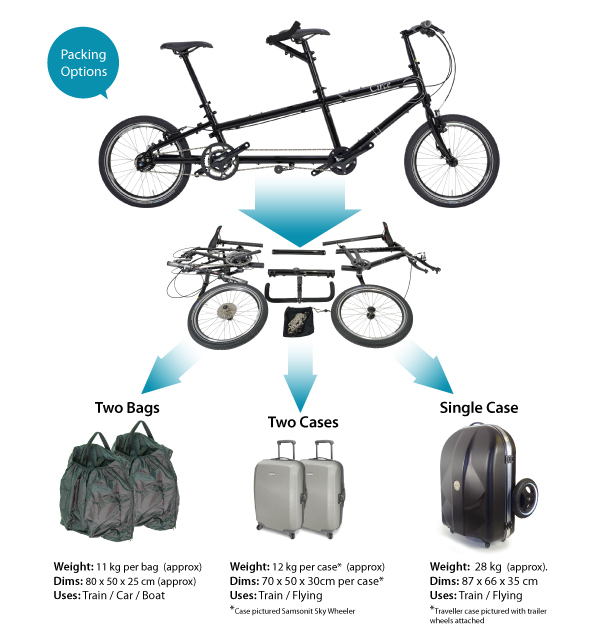 An essential element of our design brief for the Helios was a compact tandem that, amongst other things, would be easy to transport both locally and for travelling to far away places. By using 20″ wheels and making changes to the classic tandem stoker geometry, we were able to design a tandem compact enough to go into even quite small cars without the need to be folded. Although we had originally designed the Helios with the potential to incorporate a fold, it soon became clear that, in the real world, it was compact enough for most transportation needs without folding, and that to significantly reduce the volume, particularly for travelling by air, a separable rather than a folding tandem was the superior option. Having experience of several different folding and separable tandems, we decided that a way of stabilizing what is essentially a long and heavy bike, particularly when assembling, was essential and why we used a mixed compression tube and couplings system. Key to folding and re-assembling the tandem is the compression drainpipe, which holds the two separated ends of the tandem together, and stable, while the coupling tube and other components are removed or installed.